You guys. 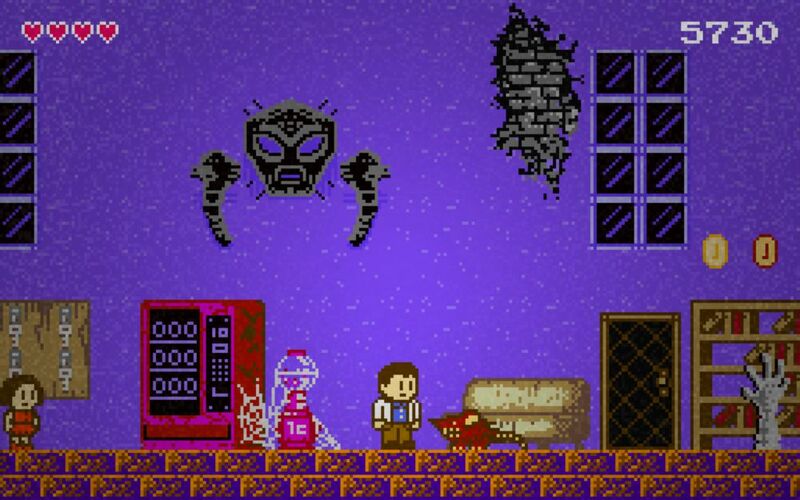 Someone made the Manos: The Hands of Fate movie into a game. THERE IS A MANOS GAME! Lord Crumb told me about it yesterday and it blew my freaking mind. As you may recall, I’m a huge fan of Mystery Science Theatre 3000 (MST3K), a 1990s TV show that made fun of hundreds of bad movies over the years. One of their best (and one of my favorites) was Manos. I even featured it in my MST3K Halloween last year. It’s so horrible that it’s rated one of the 100 worst movies of all time. So when I saw this game not only paid homage to Manos but was loaded with plenty of MST3K references, I had a bit of a fangirl moment and bought it immediately. How could I not love little additions like a certain familiar gumball machine inside the house? 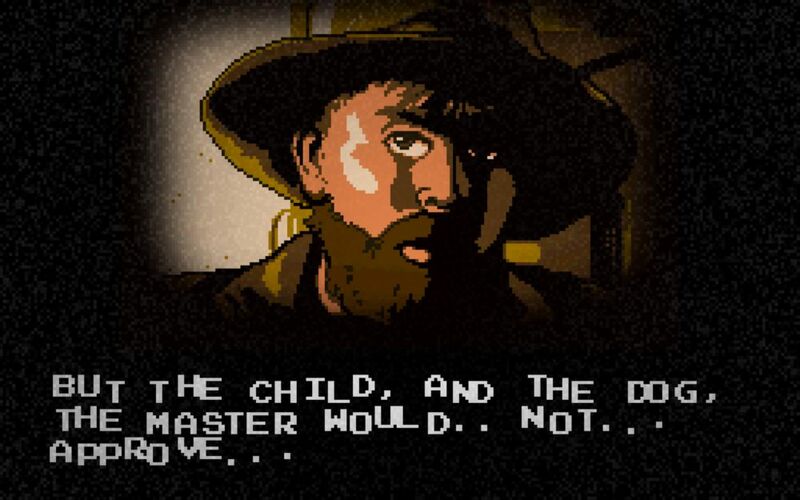 Also…TORGO! Complete with his own theme music from the movie and jittery text that so captures how he acted. But why oh why does this game have to be a retro platformer? I don’t know if it’s because I missed the whole platformer craze in decades past but I neither enjoy nor are very good at them. Which is probably why in an hour of gameplay, I only got to Level 3 before I quit and spent over 20 minutes dying again and again to the Level 2 boss. I really want to like you, Manos the game. But the only thing that makes you fun for me is all of the references. It’s too bad you weren’t just about any other type of game. I’m still going to have to beat you one day, just on principle. But today won’t be that day unfortunately. That’s pretty insane. When I was a teen, my girlfriend and her mom were huge fans of Ed Wood and Plan 9 From Outer Space. I took it upon myself to find an even worse movie and I ended up buying them a copy of Manos. I am still blown away by the movie or the choices made in its production. I love citing the example of using the same voice actor for two roles in the same scene to friends who haven’t/won’t watch it! Too good to have happened, but it did. Having seen Plan 9 as well (both the original and riffed versions), I’d have a hard time choosing which was worse. In Plan 9, Bela Lugosi died halfway thorough and they didn’t bother to redo his scenes. They just got Ed Wood’s chiropractor to replace him instead! It is a fascinating movie, that’s for sure. I love MST, I’ll have to try and look this one up. I had a similar experience with the Manos game when I first played it (except I couldn’t get past the first stage). I decided to try it again recently and, well it stays consistently difficult throughout the rest of the game. The thing is, if you try to predict a boss’s pattern you take a lot of damage. I found that aggressively attacking them with the shotgun actually minimized my damage. Also, I completely missed Tom Servo hiding in plain sight. Nice catch! If only I was good enough to retain the shotgun by the time I get to the boss. Instead it’s been the peashooter pistol for me.